The wave of second-skin connected devices like smartwatches unlocks a new interaction paradigm of tiny haptic interactions. Vibro-stimuli have proven to be a very strong new interaction form. 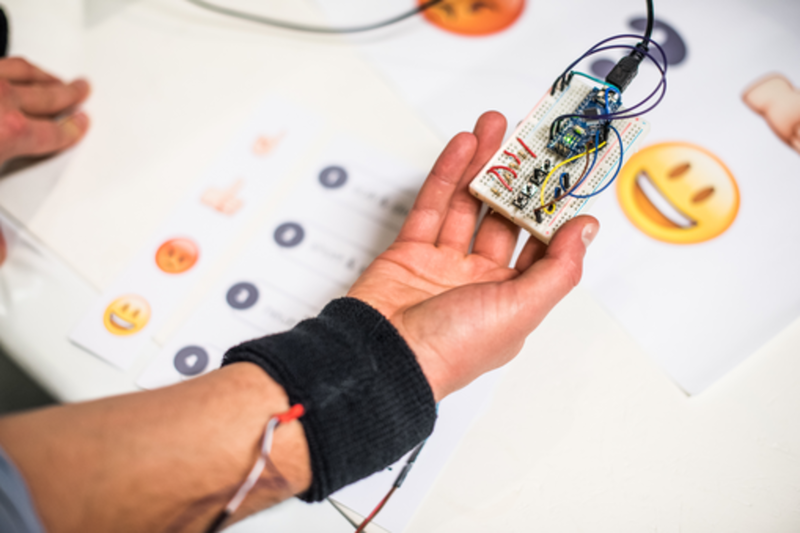 In this workshop you get introduced how to design for this ‘internet of touch’. The workshop is for everyone that plan to add haptics to their designs. You get an update from the latest research on haptic interactions and will explore hands-on the power of vibro-stimuli and feel different vibration-types and experiment with them. In a short design session we discuss the use of the stimuli and make a basic communication device. No specific preparation or materials are needed to take part. Strategy director at Internet Agency Info.nl, based in Amsterdam, The Netherlands. We design and develop game changing online platforms. As strategy director I advice clients on the impact of online on the business from a design view. Responsible for the innovation lab of our agency and member of the European think thank Council Internet of Things. Educated as Industrial Design Engineer, working in the digital interactive field for more than 15 years.